Amid heightened tension between the two neighbouring nations in the wake of the Kulbhushan Jadhav case, Pakistan has said that India is capable of producing 2600 nuclear weapons. Claiming the India has the fastest growing nuclear programme in the world, Pakistan foreign office spokesperson Nafees Zakaria told reporters in Islamabad that India’s nuclear aspirations pose a threat to strategic stability in the south Asian region. “Pakistan has been underscoring the risk of diversion by India to imported nuclear fuel, equipment and technology received pursuant to civil nuclear accord and 2008 energy waiver by Nuclear Suppliers Group,” Radio Pakistan quoted Zakaria, as saying. The top Pakistan official also raised concerns over India’s bid for a permanent membership at the NSG, saying the world community should check the risks involved in allowing New Delhi a seat in the elite group. Pakistan’s statement regarding India enhancing its nuclear capability has come just days after reports suggested that New Delhi may be rethinking its nuclear doctrine. 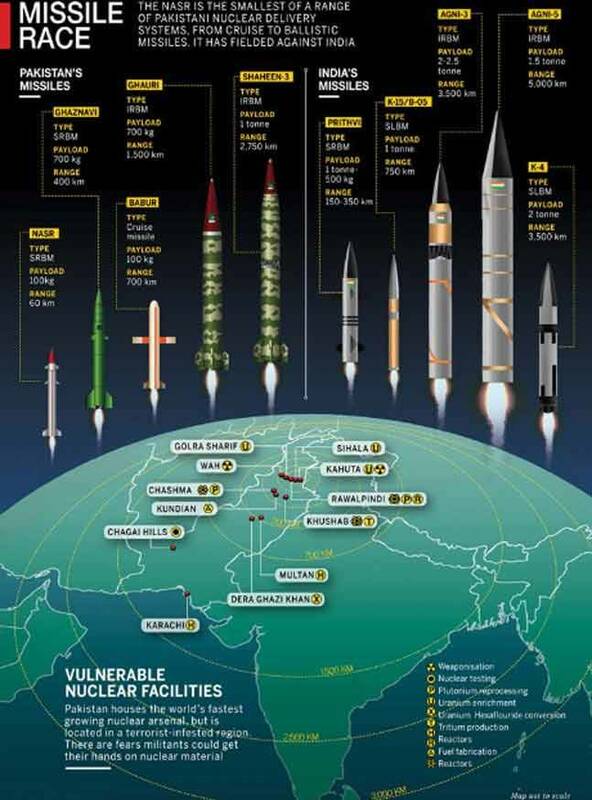 “There is increasing evidence that India will not allow Pakistan to go first,” Vipin Narang, an expert on South Asian nuclear strategy at the Massachusetts Institute of Technology, had said. He also pointed out that India’s preemptive strike may not be conventional strikes and would also be aimed at Pakistan’s missiles launchers for tactical battlefield nuclear warheads.